Global business, global teamwork, and a distributed work force are all concepts illustrated by this concept stock photo. 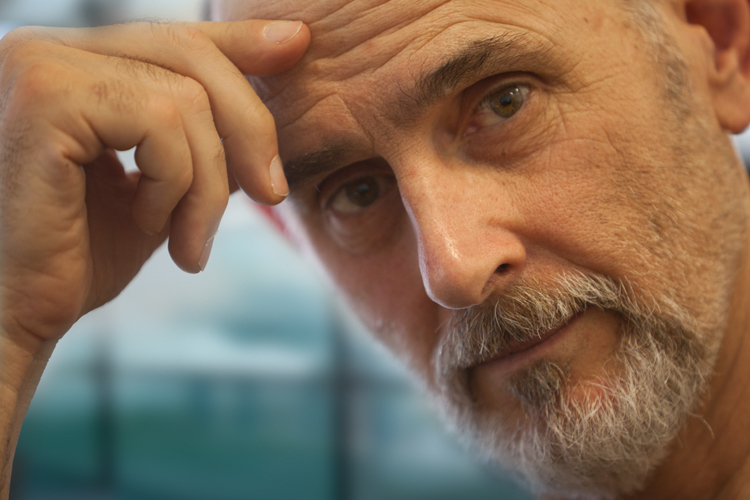 Global business is big business…even for small businesses. And global business is a growing category of business as well…so it makes perfect sense to create stock photos that address the “growing” need for all aspects of global business. 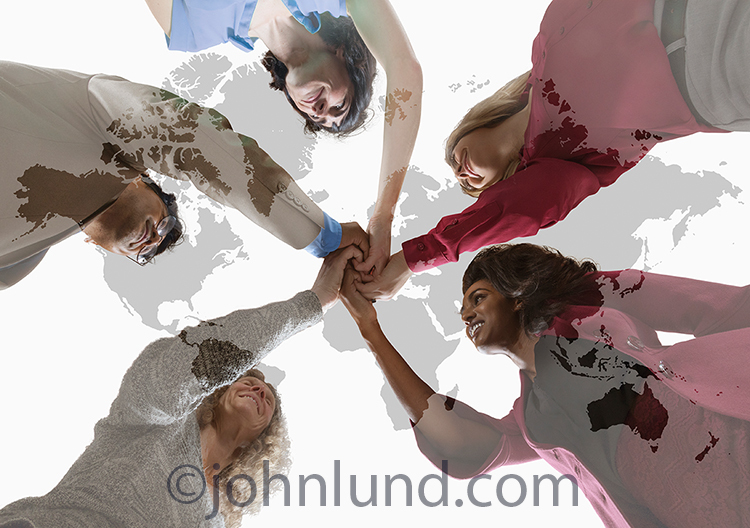 It was with that in mind that I created this “Global Teamwork” (and more) stock photo. I hired four models and had them join hands in my studio. I lay on my back and shot them from the low angle you see. For those interested in such details I used a combination of ProFoto and Speedotron strobes and my Canon 5D Mark IV. The background I shot them against was just the wooden ceiling of the studio. I might add that stock photos with multiple people generally have a higher intrinsic worth. I stripped them out and combined them with a map of the World’s continents…and added in the white background…all in Photoshop. I chose a white background because it kept the image simple and upbeat. Trying to have the continents show up reasonably clearly, while minimizing visual confusion, also called for the white background. I used predominantly women because women are the hot trend in the stock world, and traditionally there is more call for women in stock photography over all. I used a diverse group from African American, to Hispanic, to Asian and Caucasian…both because a Global shot needs such diversity and because there is a huge need for diversity in stock photography. Will this global business stock photo be a best seller? Hard to say…only time will tell. But I am comfortable in my belief that this image will sell enough to have made it worth my time…I think….